Answering important questions about how our church family functions. I. WHY DO WE EXIST? This church exists by the grace of God, for the glory of God. The Glory of God will be the ultimate purpose of all that we do. This Church glorifies God by loving Him and obeying His commands through worshipping Him; Equipping the saints through Bible instruction and study; Proclaiming the gospel of Jesus Christ through preaching, personal evangelism, and any other means consistent with the teaching of Holy Scripture; Encouraging, supporting, and participating in mission work, local, domestic, and international; Administering the ordinances of believers’ baptism and communion; Encouraging Biblical fellowship among believers; and Mercifully serving other individuals, families, and churches by providing for their physical, emotional, and spiritual needs. We believe that there is one living and true God, existing eternally in A. Jesus Christ is the Lord and head of this church, and He rules primarily through the Scriptures. B. The Biblical offices in the church are elders and deacons. In addition to these offices, our church will recognize the administrative offices of clerk and treasurer, whose responsibilities will be outlined in these By-Laws. All officers must be members of this church prior to taking office or assuming their responsibilities (with the exception of an outside hire such as a new senior pastor). No one may hold more than one office at the same time with the exception that a deacon may hold the office of clerk or treasurer. For purposes of compliance with the nonprofit corporation laws of the state of North Carolina, one of the elders shall serve as president of the corporation and the clerk shall serve as secretary of the corporation. The elders shall serve as the board of directors and as trustees. C. Any officer of the church who is Correctively Disciplined will also be removed from the office that he or she holds at the discretion of the elders. In keeping with the principles set forth in Acts 6:1-7 (the role of the twelve), 20:28-31; I Timothy 3:1-7, 5:17; Titus 1:5-9; Hebrews 13:17; James 5:14; and I Peter 5:1-4, the elders will oversee the ministry and the resources of the church. They will seek the mind of Christ through the guidance of the Holy Spirit and the Word of God as they shepherd the flock of God. They will be given to prayer, study, and teaching of the Word; they will gladly and honorably shepherd the flock, teach and exhort, refute those who contradict the truth, pray for the sick, and care for the souls of the church members. Elders will also be responsible for interviewing candidates for membership, examining and recommending all prospective candidates for offices, overseeing the work of the deacons, conducting worship services, administering baptism and the Lord’s Supper, equipping the members for the work of the ministry, encouraging sound doctrine, overseeing Church Discipline, and mobilizing the church for world missions. The elders should be no less than two men who meet the qualifications of the office as set forth in I Timothy 3:1-7; Titus 1:6-9. Only men can serve as elders in accord with I Tim. 2:12, 3:2-7; Titus 1:5-9, and following the example elsewhere set forth in Scripture. All elders must be wholeheartedly in agreement with the Confession of Faith and Church Covenant. Elders may or may not be in the regular pay of the church. These men will be recognized by the church as gifted and willing to serve in this calling, and they will be received as gifts of God to the church and set apart as elders. If an insufficient number of qualified men are available then the church is not required to have two elders and should seek the leadership of a biblically qualified preaching elder, Titus 1:5. In the instance that there is only one elder, that man should actively seek, through prayer and the training of other men, to raise up additional pastors. An elder’s term of office may be terminated by resignation or dismissal. Any two members with reason to believe that an elder ought to be dismissed should express such concern to the elders, and, if need be, only afterwards to the congregation. Any such action ought to be done in accordance with the instructions of our Lord in Matthew 18:15-17 and I Timothy 5:17-21. An elder may be dismissed by a vote of 75% of the members at a members’ meeting of the church. The elders may establish ministry positions or committees to assist them in fulfilling their responsibilities without congregational approval. They may propose paid staff positions for congregational approval. The elders have the primary responsibility for the employment, supervision, evaluation, and termination of staff members, any of which they may delegate to others. Should the need arise, the elders may appoint a member to an “acting office,” excluding the office of elder. This appointment would then be subject to a congregational vote at the next members’ meeting. From time to time the church may grant to an elder an appropriate sabbatical, which must be passed by a vote of two-thirds of the members present at any members meeting. In keeping with the principals set forth in I Timothy 3:8-13 and Acts 6:1-7, deacons will be given to serving the temporal needs of the church (so that the elders can be given to prayer and the ministry of the Word) and guarding the unity of the body. Only men may serve as deacons in accordance with I Timothy 2:12, 3:8-13, and Acts 6:1-7. These men will be received as gifts of God to the church and set apart as deacons. The deacons will care for the temporal needs of the church: mercy ministries, accommodations for public worship, overseeing the financial activities and properties of the church. The deacons may be organized by the elders in the most fitting way to accomplish their mission to the church. At the recommendation of the elders, the church may recognize deacons to serve in other specific capacities as needs arise in the church. A deacon’s term of office may be terminated by resignation, discipline, dismissal, or when the elders judge that a particular deacon’s area of ministry is no longer needed. In the absence of a needed deacon, the elders may appoint an “acting deacon.” This appointment will be subject to a congregational vote, requiring 75% for approval, at the next members’ meeting. At Crossway Church, we believe it is both wise and biblical to be covenant member of a local church. Christians were not meant to journey alone and we need other believers to sojourn with us. Being in covenant with other believers and under the authority of a local church keeps us accountable in our faith, keeps us from sin, and best provides members with support and encouragement. To qualify for membership in this church, a person must be a believer in Jesus Christ, who gives evidence of regeneration, who has been baptized in obedience to Christ by immersion in water, who wholeheartedly believes in the Christian faith as revealed in the Bible. who will sustain the doctrines of our church and not hold any settled convictions contrary to them, in accord with our Statement of Faith, and who will promise to keep the commitments expressed in the Church Covenant. The normal process for becoming a member is completion of the Membership Matters Class, an assessment of qualification for membership in an interview with at least one elder, and a vote by the church on the basis of the person’s profession of faith and evidence of regeneration. The admission of members will be by vote of the church upon recommendation of the elders. This vote may take place at any of the regular meetings of the church, and it will require a vote of two-thirds of the members present to admit a new member into the church. Once admitted, members will relinquish their membership in any other churches. Baptism will be administered to a candidate for membership who is recommended to the congregation by the elders and who meets the above qualifications for membership (excluding baptism). At any regular church meeting, a vote of two-thirds of those members present is required for a candidate to be admitted to baptism. The candidate will then be baptized at the church’s earliest convenience and will become a member upon receiving baptism. A New Testament Christian is a minister. Membership is ministry. Each member is expected to be faithful to a New Testament Christian life as outlined in the Church Covenant and to recognize that he or she is the basic minister of the church. Therefore, each member will diligently seek to discover his or her gifts and areas of ministry in order to become equipped for and to fulfill that ministry. Only members of this congregation will be entitled to serve in the ministries of the church; non–members may serve on an ad-hoc basis with the approval of the elders. Non-members may also serve the church for purposes of administration, maintenance, professional consultation, and construction, at the discretion of the elders. It is the privilege and responsibility of members to attend all members’ meetings and vote on the election of officers, on decisions regarding membership status, on the annual budget, on the acquisition of real property, on incurring any debt, on calling ministerial staff members, on amendments to church documents, and on any matters that may be submitted to a vote at the discretion of the elders. For any matter submitted to a vote in this way, a simple majority will be required for passage, unless otherwise specified in these By-Laws. 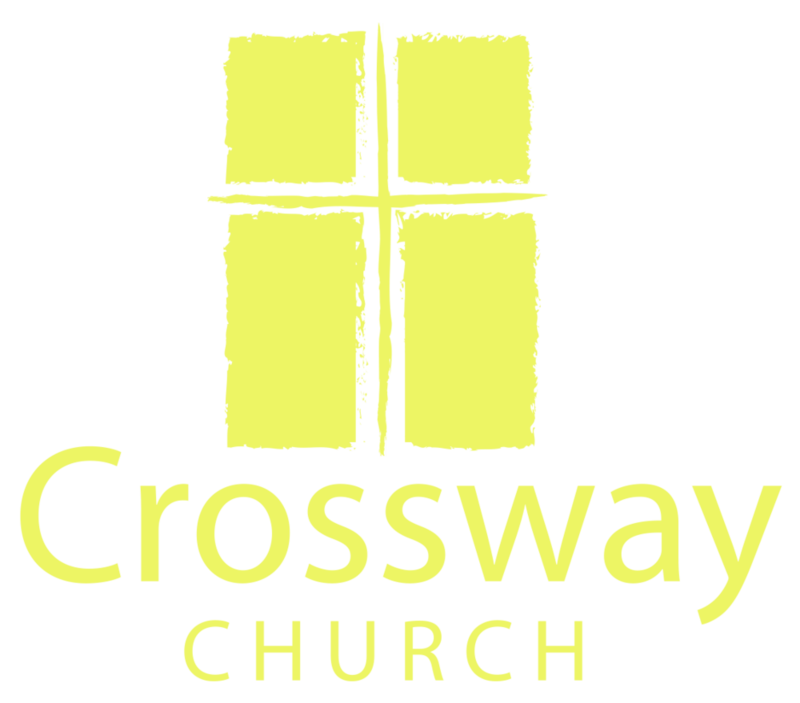 In the event that the members of Crossway Church of Goldsboro vote to dissolve as an organization, the members will determine by vote what will happen to the assets of Crossway Church, in accordance with the provisions set forth in the Articles of Incorporation. This vote will take place in the same meeting as the vote for dissolution. Believing that the Bible commands Christians to make every effort to live at peace and to resolve disputes with each other in private or within the Christian Church (Matthew 18:15-20; I Corinthians 6:1-11), the church will require its members to resolve conflict among themselves according to biblical principles without reliance on the secular courts. When consistent with its call to peacemaking, the church will encourage the use of biblical principles and the avoidance of suits of law to resolve disputes between itself and those outside the church, whether Christian or non-Christian and whether individuals or corporate entities. The elders shall direct the church in carrying out these aspirations. All Christians struggle with sin and the effect it has on our lives and our relationships (Romans 3:23; 7:7-25). Whenever a Christian is unable to overcome sinful attitudes or behaviors through private efforts, he should seek assistance from other members, and especially from the Elders, who have the responsibility of providing pastoral counseling and oversight (Romans 15:14; Galatians 6:1-2; Colossians 3:16; II Timothy 2:15-26; II Timothy 3:16-5:2; Hebrews 10:24-25; 13:17; James 5:16). Therefore, this church encourages and enjoins its members to make confession to, and seek counsel from, each other and especially from pastoral counselors. In the vibrancy of the body, it would be expected that members would share their struggles with other members of the body, and given greater challenges, the member would have the desire to secure individual pastoral counseling. Counseling at Crossway Church is based on scriptural principles rather than those of secular psychology or psychiatry. Neither the pastoral nor the lay counselors of this church are trained or licensed as psychotherapists or mental health professionals, nor should they be expected to follow the methods of such specialists. The pastoral and lay counselors of Crossway Church seek to apply biblical principles to all aspects of life. If a member or regular attender of Crossway Church seeks help in legal, financial, medical, or other technical questions, the counselor will apply scripture to the matter to the best of his ability. The pastoral or lay counselor shall seek to cooperate with professional advisers and help members or regular attenders consider their advice in the light of relevant scriptural principles. Formative Discipline – Is inherent in the preaching, teaching, and exercising of other ministries in the church through which the people are conformed to the image of Christ. Corrective Discipline – Occurs when a member is found in sin, and the church seeks his or her repentance and restoration to obedience to Christ. Corrective Discipline may include individual confrontation and admonition, and it may possibly extend to excommunication from the membership of the church by recommendation of the elders and a vote of two-thirds of the congregation. Corrective discipline will be carried out under the authority and guidance of Scriptures pertinent to it including, but not limited to: Matthew 18:15-17, I Corinthians 5:1-8, Galatians 6:1-2, I Thessalonians 5:14. Corrective discipline is not to be entered into lightly. For the repentance, reconciliation, and spiritual growth of the disciplined party (see Proverbs 15:5; 29:15; I Corinthians 4:14; Ephesians 6:4: I Timothy 3:4-5; Hebrews 12:1-11; Psalm 119:115, 141:5; Proverbs 17:10, 25:12, 27:5; Ecclesiastes 7:5; Matthew 7:26-27, 18:15-17; Luke 17:3; Acts 2:40; I Corinthians 5:5; Galatians 6:1-5; II Thessalonians 3:6, 14-15; I Timothy 1:20; Titus 1:13-14; James 1:22); For instruction in righteousness and the good of other Christians as an example to them (see Proverbs 13:20; Romans 15:14; I Corinthians 5:11, 15:33-34; Colossians 3:16; I Thessalonians 5:14 [note that this instruction is written to the whole church, not just the elders]; I Timothy 5:20; Titus 1:11-12; Hebrews 10:24-25); For the purity of the church as a whole (see I Corinthians 5:6-7; II Corinthians 13:10; Ephesians 5:27; II John 10; Jude 24; Revelation 21:2, 7-8); For the good of our corporate witness to non-Christians (see Proverbs 28:7; Matthew 5:13-16; John 13:35; Acts 5:10-14; Ephesians 5:11; I Timothy 3:7; II Peter 2:2; I John3:10); and Supremely for the glory of God by reflecting His holy character (see Deuteronomy 5:11; I Kings 11:2; II Chronicles 19:2; Ezra 6:21; Nehemiah 9:2; Isaiah 52:11; Ezekiel 36:20; Matthew 5:16; John 15:8; Romans 2:24, 15:5-6; II Corinthians 6:14-7:1; Ephesians 1:4, 5:27; I Peter 2:12). It is desirable in the case of public sin that a confession be made before the church in a specially called meeting, so that the church can freely extend forgiveness. Such public confession is especially necessary in the case of elders and deacons (1 Tim 5:19-20; Gal 2:11-14).